IN STOCK AND READY TO SHIP!! 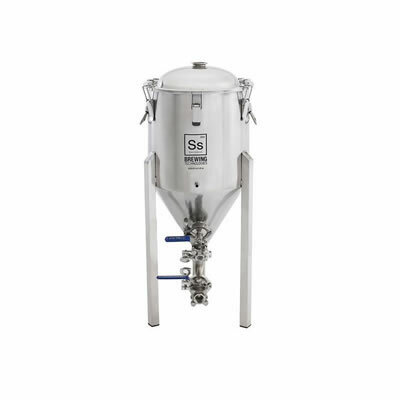 The Chronical Fermenter is a fully featured 7 Gallon Conical Fermenter made with only the finest brewers grade 304 stainless steel and including only the finest grade valves and fittings that we get from a major supplier of commercial brewery equipment. This Fermenter is just as good or better than other conical fermenters on the market, but priced at hundreds of dollars less. It also has a revolutionary, patent pending rotatable racking arm, along with high quality fittings/valves, pressuraizable for keg transfers, sanitary welds, and a thermal well to mention a few!